about this book: Harry Cohen is London Desk for the Israeli secret service. Involved with the delicate peace negotiations between Israel and the Palistinians, he is thrown into a race against time to retreive a valuable icon taken back to the US at the end of WWII. The Russians want it back as part of a deal to help broker the peace talks. En route, one of Harry's men has been killed but not before he has deposited the Icon in a safe depository in London. A ruthless ex Stasi agent, Heinrich Leiberman, is determined to aquire the icon for a client and will stop at nothing to get it. Harry enlists the help of an ex con, realeased from prison after taking part in a robbery gone wrong in which a child was killed. Set up by one of his fellow gang members, Raithe Ravelle has a score to settle. Harry's front is that of a jeweller and over several years has mentored Raithe in his pursuit to infiltrate high society and the underworld for information useful to Israel. Harry has been looking after Raithe's daughter, Natalie, a teenager who is attending a young girls finishing school in Switzerland. He persuades Raithe to help him rob the depository and deliver the Icon to the Russians. Raithe brings back the old gang and rehearses Harry's daring robbery plan in a deserted country house; hoping to draw out the man who sent him to prison on a false murder charge. Leiberman kidnaps Natalie just before the robbery and holds her for ransom. Raithe, under pressure, steals the Icon but changes Harry's plan for fear of losing his daughter. 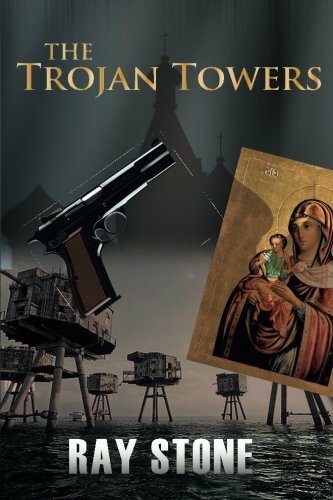 In a hair raising final confrontation on deserted wartime gun forts in the River Thames Estuary,Harry and Raithe face Leiberman and a final shocking twist that reveals the identity of Leiberman's paymaster. This is a chase thriller that speeds through London, Amsterdam,and Switzerland; a gripping novel that will have you on the edge of your seat. • 'A raw Dan Brown.' — Annette Connor. • 'Stone writes with an in your face arrogance.' — M. Harahan.